More than 90 works drawn from the collection of the Centre Pompidou in Paris will go on show next spring in the first “Pop-Up Pompidou” due to open in Malaga, southern Spain. Under ambitious plans announced 3 September, the proposed satellite will remain in situ on the city harbour for a five-year period. a face”. Ghost, 2007, by Kader Attia, Max Ernst’s The Imbecile, 1961, Francis Bacon’s Self-portrait, 1971, andThe Flowered Hat 10/04/1940 by Picasso are among the pieces due to travel to Malaga. In addition, three temporary monographic exhibitions lasting from three to six months will be held in a display space measuring 363 sq. m. An area dedicated to teenagers, entitled Studio 13/16, also forms part of the Cube complex. “Through its mediation work with audiences, the Centre Pompidou fosters wide attendance and primarily addresses those who are not naturally drawn to visit museums,” said a press statement. In April, the former French culture minister Aurélie Filippetti revealed during a diplomatic trip to Mexico that negotiations for a pop-up Pompidou in Mexico City are underway. “Cities wishing to host a Pop-up Pompidou will soon be able to apply,” say the organisers. Recent press reports have led to speculation that a Pompidou satellite branch will open in Maubeuge, northern France, close to the Belgian border. In 2012, Seban announced plans to form a network of “temporary centres” around the world, indicating that these new outposts would be primarily in Brazil, Russia, India and China. Meanwhile, the Centre Pompidou launched a mobile museum in 2011, which toured the French provinces but the project was halted because of the cost. 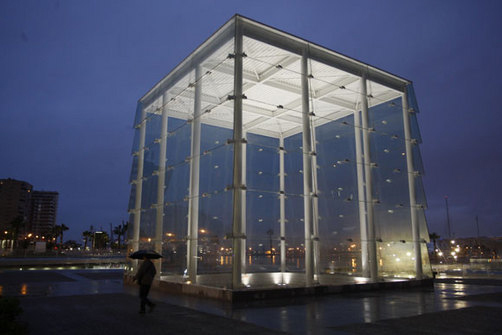 Malaga, the port city where Picasso was born, has been striving to become a cultural destination over the past decade. 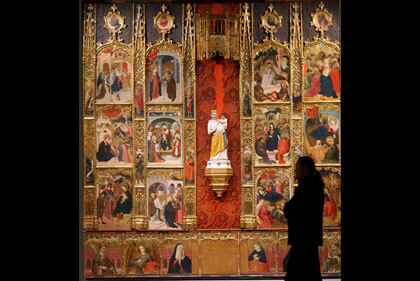 This week Spain’s King and Queen are due to visit the Museo Picasso Málaga, which opened in 2003. The Museo Carmen Thyssen Málaga opened there in 2012.